October 2018 – MedHospAfrica-Kenya, Tanzania, Africa Medical Importers Directory. Speaking about the tech sector in Tanzania, she indicated that, it is developing with new players coming in and the youth actively playing a major role in the tech space as founders and CEOs. According to her, there are tons of opportunities in terms of solving basic to business problems in the country using technology. She also commended the youth for being very active and risk-averse in technology. Balsam International, a heart surgery and cardiology team is preparing to go to Dar es Salaam, Tanzania, in the next few days to treat 176 heart patients after successful trips to treat 225 heart patients in Yemen. 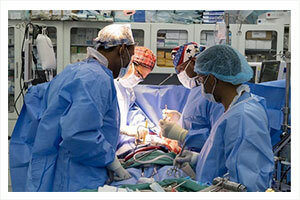 Dr. Imad Bukhari, cardiac surgery consultant and CEO of Balsam, said that during the six-day trip the team aims to conduct 16-18 open heart surgeries, about 60 catheterizations, offering treatment to 100 cases in outpatient clinics in collaboration with the medical team at the Jakaya Kikwete Cardiac Institute. The trip comes after coordination with the Ambassador of Tanzania in Saudi Arabia Hamid Eid Maghazi, the Tanzanian Ministry of Health and Jakaya Kikwete Cardiac Institute. Heart surgeon Dr. Rakan Nazer expressed his delight in participating with his colleagues in Balsam in this humanitarian charity work. Dr. Rahim Gul, a Pakistani consultant in cardiac surgery, is taking part in this trip too. Dr. Abdulaziz Khouja, anesthesiologist, and his colleagues remember joyfully the achievements of “Balsam1” and “Balsam2” trips to Yemen in April and May 2018. In about 12 days, 25 open heart surgeries and more than 200 catheterizations were carried out, in addition to more than 750 clinical and ultrasound checkups. The nucleuses of this medical team are Saudi citizens who are proud of the international medical status that Saudi doctors have reached in fields such as heart surgery.